Regulatory Aligned QbD Method Development, Qualification, and Validation — as a Service! Major Pharmaceutical companies worldwide use our Fusion QbD® Software Platform (Fusion QbD) every day to successfully develop truly robust and transferrable methods, including enterprise deployments at more than half of the world’s largest pharmaceutical companies. In addition, regulatory agencies use Fusion QbD to modernize methods and to challenge robustness claims in Pharma company submittals! Our proven capabilities are now available to you as a service! All work is done using Fusion QBD, which implements a Quality by Design (QbD) approach 100% aligned with regulatory guidances and expectations, and enables us to rapidly develop truly robust and transferrable methods. We work with you to define quantitative statements of your required method performance. The ATP is used to assess project progress, and is the basis of your verification and acceptance of the final delivered method. "The concept of an ATP parallels the concept of a Quality Target Product Profile described and defined in ICH Q8. The ATP defines the requirements for the 'product' of the test procedure, which in this case is the reportable result. Criteria defined in the ATP refer to the quality data attributes of the reportable result, i.e., accuracy and measurement uncertainty, which include all sources of variability, including precision. 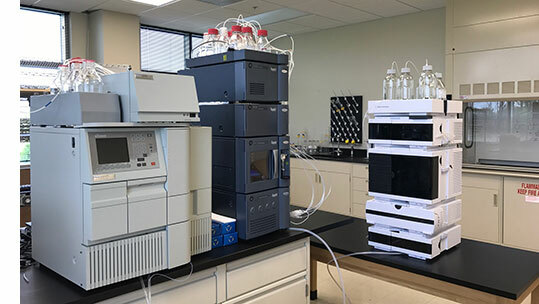 Identifying the output of the analytical procedure as the reportable result provides a target for development and helps to ensure the procedure is developed toward predetermined performance requirements that are directly linked to the quality of the data. In other words, the ATP defines the objective of the test and quality requirements, including the expected level of confidence, for the reportable result that allows the correct conclusion to be drawn regarding the attributes of the material that is being measured..."
We integrate robustness modeling for all key performance characteristics — as specified in the ATP — into method optimization to assure successful validation and transfer. "It should be noted that robustness is not listed in the [typical validation characteristics] table but should be considered at an appropriate stage in the development of the analytical procedure." "The FDA has stated that accepted process capability indices such as Cp, Cpk, Cpm, and Cpkm are also part of the QbD toolset." 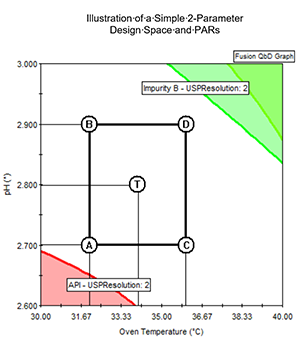 We optimize the method in terms of mean (average) performance and method robustness consistent with established FDA and ICH guidances, and formally establish the method’s Robust Design Space and Proven Acceptable Ranges (PARs) — referred to by Analytical QbD practitioners as the Method Operable Design Region — MODR. "The multidimensional combination and interaction of input variables (e.g., material attributes) and process parameters that have been demonstrated to provide assurance of quality. Working within the design space is not considered as a change. Movement out of the design space is considered to be a change and would normally initiate a regulatory postapproval change process." 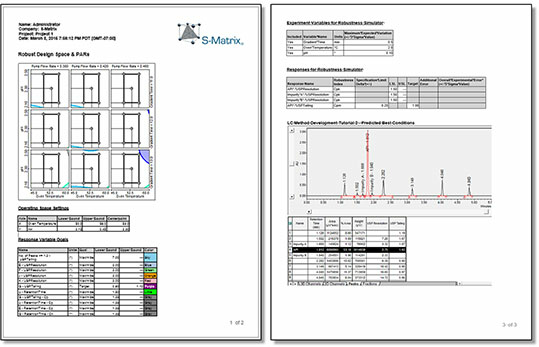 View our brochure online or Download our brochure (PDF) and learn all about S-Matrix Analytical Development Labs. Read the Press Release announcing the opening of our Indianapolis office in the Purdue Technology Center.